Quality Assurance — Key Packaging Co.
With our corporate commitment to Lean Six Sigma philosophy, Key Packaging continues to lead the plastic packaging industry in quality and process excellence. We staff both Black and Green Belt personnel to support our Six Sigma commitment and culture. In addition, Key Packaging maintains ISO 9001:2015 certification. To certify that all parts are manufactured to exact, agreed-upon specifications for uniformity and tolerance, our Quality Assurance specialists perform a variety of measurements using computerized tools to monitor and evaluate production quality. 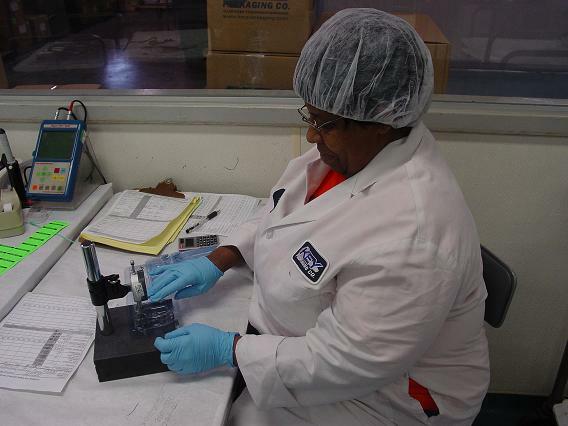 With our time-tested quality control system in place many of our customers have implemented a ship-to-stock program, allowing Key Packaging products to bypass incoming inspection and testing.